Milkshake | Good Finds That Give Back | Help Milkshake Fight Cancer: Sign Up For The Spartan Sprint! Obstacle races are all the rage right now, but all too often we skip singing up. (Secretly, we’re scared of a possible Hunger Games-type scenario or something similarly daunting.) But this May, Milkshake is stepping up to the starting line and taking a new challenge: The Spartan Sprint. 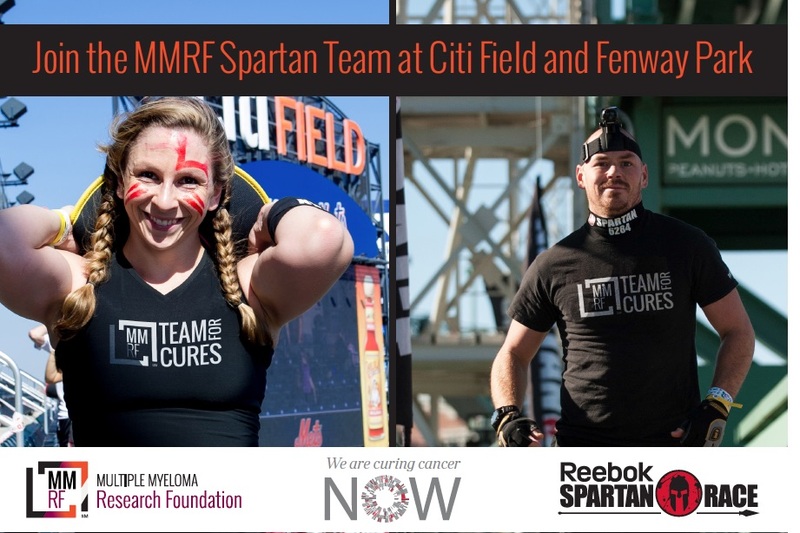 On May 9th at Citi Field, teams will compete in a three-mile obstacle-filled race that raises money for the Multiple Myeloma Research Foundation (MMRF). Unlike some other über tough, super intimidating races, the Spartan Sprint at Citi Field is a completely do-able course. All you need is a little determination and a willingness to get dirty. Should you choose to forgo an obstacle, you don’t have to forfeit—just grit your teeth, rock out 30-burpees, and you’re good to go. This will be the first time the Spartan Race Stadium Series welcomed a charity as an official partner. The MMRF Team for Cures are looking to raise $1,000 per person to fight this common form of blood cancer. Sadly, multiple myeloma has one of the lowest five-year relative survival rates of all cancers. There is no cure (yet) but researchers and doctors are making progress every year. Want to help Milkshake fight cancer? Of course you do! That’s why we’re urging you to join our team. Feeling a little funky after a long winter of junk food? Work it out on the field! Looking for a fun new way to meet people this spring? Come get messy with us! You don’t have to be a pro athlete to run this race—and you don’t have to be a billionaire to make a difference. Sign up to run with Milkshake here. You can also support the MMRF’s efforts by donating to the cause. Remember: in the fight against cancer, every little bit helps.